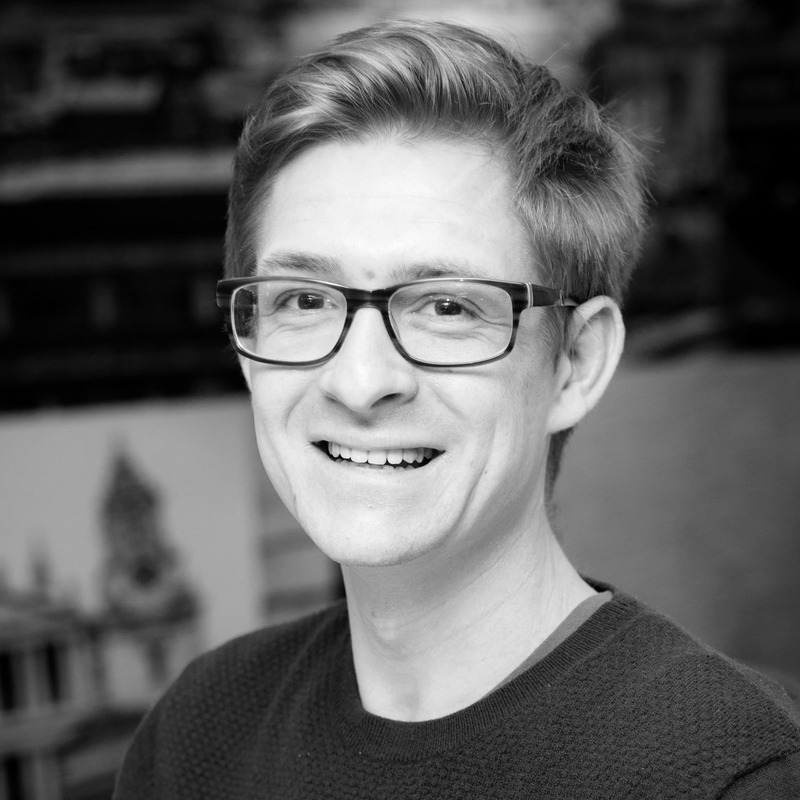 Are Remainers rejecting Brexit deal due to second vote hopes? December 10, 2018, 11:41 a.m. It seems likely that the government’s Brexit deal will be voted down in the House of Commons tomorrow, and new YouGov research finds that half (51%) of Remainers are hoping for exactly that. This could be because many Remain voters expect that throwing the deal out would begin a series of events resulting in a second referendum, which previous YouGov research has shown Remain voters believe they can win. Overall, 41% of Remainers believe that a second referendum is the most likely outcome of MPs rejecting May’s deal. 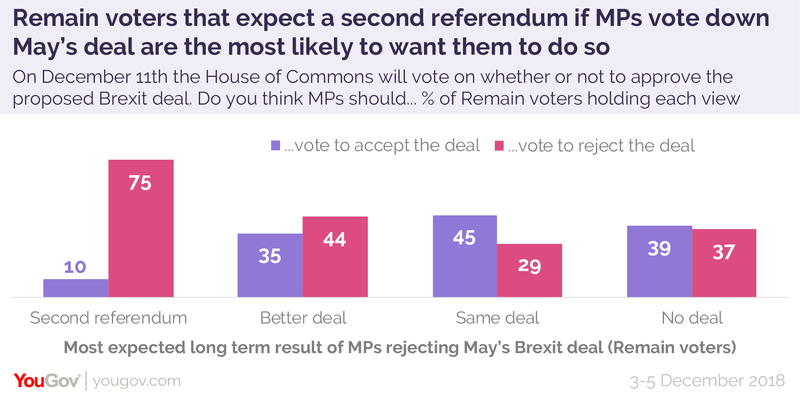 Of this group, an overwhelming 75% want MPs to reject the deal tomorrow, a figure substantially higher than among those Remainers who think voting down the deal would result in some other outcome. 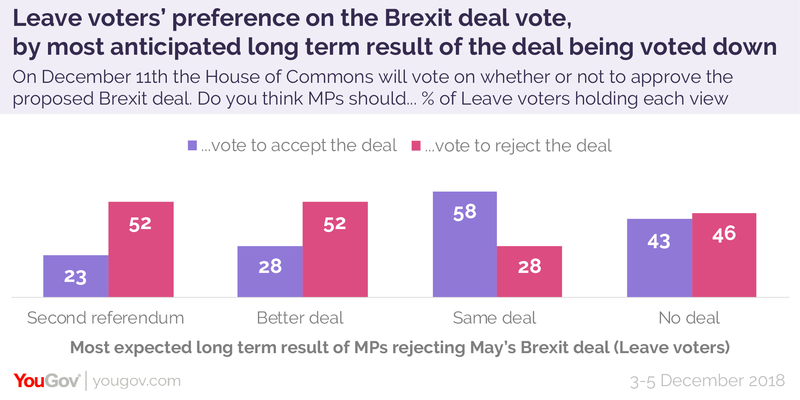 Among those Remain voters who think voting down the deal would instead result in either a better deal being negotiated and subsequently accepted, or May’s deal eventually being accepted anyway, only 44% and 29% respectively want MPs to vote to reject the current deal. And only 37% of those Remainers who think a no-deal Brexit could result want their representatives to reject the deal. For their part, Leave voters are split on whether they want MPs to accept (38%) or reject (40%) the deal. Among those who expect the result to be a second referendum, and those who expect a better deal being negotiated, 52% of each group want to see the deal voted down. Among those who predict a no-deal Brexit, there’s a split: 46% want the deal to be voted down and 43% do not. By contrast, only 28% of those Leave voters who expect May’s deal to eventually pass the Commons, even if it’s voted down the first time, think MPs should nevertheless vote against the deal.